which requires the replacement of affected exhaust vales. It is imperative that you check whether your engine is affected by this Emergency AD. Top-Quality Technology—Tim Markwald presents the jet engine. 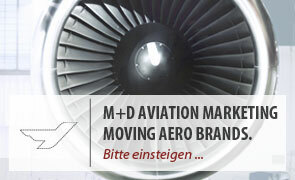 Flashback: On 21 September 2009, M+D Flugzeugbau applied for the TC (Type Certificate) for their MD-TJ42 jet engine. 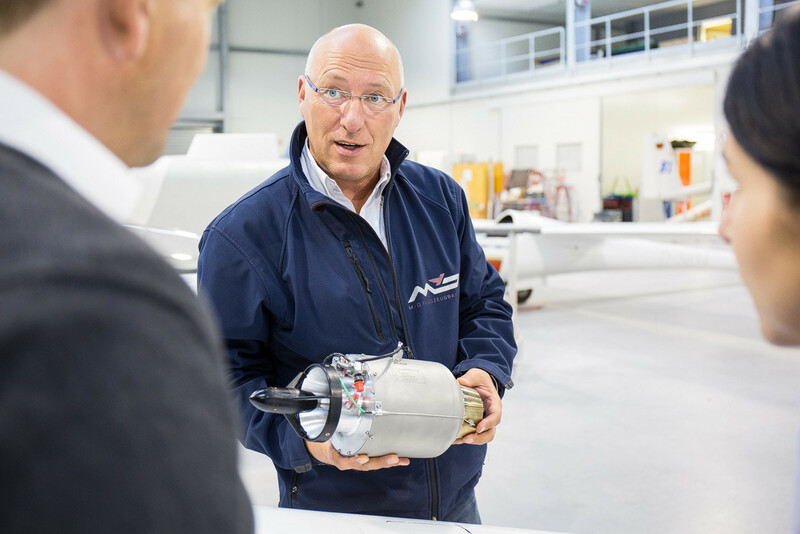 It’s taken six years to certify the MD-TJ42 jet engine for use in sailplanes. Companies looking to certify an engine with an EASA TC (Type Certificate) for planes must take into account numerous details. The standards for security, reliability and consistent performance are extraordinarily high, and the supporting documentation is comprehensive. 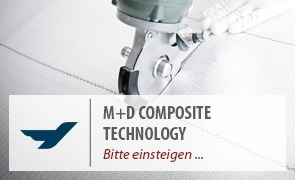 When creating the documentation, the M+D team received active support from aerospace engineer Stefan Hilbenz of Kasaero GmbH. Some facts and figures: Around 50 engines were thoroughly put through their paces and deliberately pushed to and beyond their limits in tests carried out by M+D. In the prescribed endurance and cycle tests, the engines were run in a simulation between initial idle speed to full throttle and back over 100 hours, as well as being exposed to a maximum load of 16 hours at continuous maximum acceleration (!). A good 180 test flights were carried out by M+D test pilot Sören Pedersen and his colleagues. The engines were flown in around 300 hours of field trials in a variety of aircraft types. The cooperation between M+D Flugzeugbau and Jonker Sailplanes and the fitting of 50 JS1 with jet engines provided additional data for development. In South Africa, additional intensive tests, flights and refinements were carried out. The density altitude and temperatures in Africa also contributed to important findings for development. In the meantime, over 80 engines were supplied to non-EASA countries. In Europe, too, the MD-TJ42 has now passed all its tests and received the EASA-TC. The engine has its own electric starter and runs on regular diesel, rather than being operated by specialised, expensive aviation fuel. Next steps: The MD-TJ42 will be fitted in other aircraft, not just in the JS1. Other aircraft types are also in M+D’s sights. There are no further obstacles to retrofitting these types using installation kits. It goes without saying that the engine is continuously being further developed and refined to fit each aircraft profile. Read a report of a flight in a JS1 using the engine here. This website will continue to be updated with answers to questions about the engine, as well as options for retrofitting it in various aircraft models. Information for the safe operation of the AVO 68 “Samburo” aircraft. We would like to draw your attention to the Rotax Service Bulletins SB-912-066 and SB-914-047. Temperature is now measured differently for Rotax engine types 912 and 914 (series) (changed from cylinder head temperature measurement to coolant temperature measurement). The change means that, at the appropriate measurement point in the cylinder head, the temperature of the aluminium in the cylinder head is no longer measured. Instead, the temperature of the coolant is measured. The cooling performance remains unchanged by the switch to new model cylinder heads. According to the Rotax Service Bulletin, an inspection of the cockpit’s gauges will be carried out within the next 25 operating hours, but in any case before 31st March 2015. 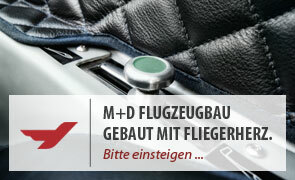 M+D Flugzeugbau GmbH &Co. KG will continue to keep you updated on additional measures through our M+D Service Bulletins. We request that you provide us with the engine model and serial number of your Samburo. We will be happy to provide you with any additional information you may require. M+D Flugzeugbau is the European arm of Jonker Sailplanes South Africa. This partnership was officially announced at the 73rd Deutsche Segelfliegertag (German Gliding Convention) in Braunschweig, Germany, where numerous visitors got the chance to see the JS1 Revelation fitted with our MDTJ-42 engine. Details and further information can be found on the Jonker website at www.JonkerSailplanes.de. The EASA certification for our JET engine is now within reach, with just a few more tests remaining to be carried out. The handbook for the engine is currently being proofread and is ready to be approved. This is an exciting project, but we’re now confident that we’ll receive the certification. 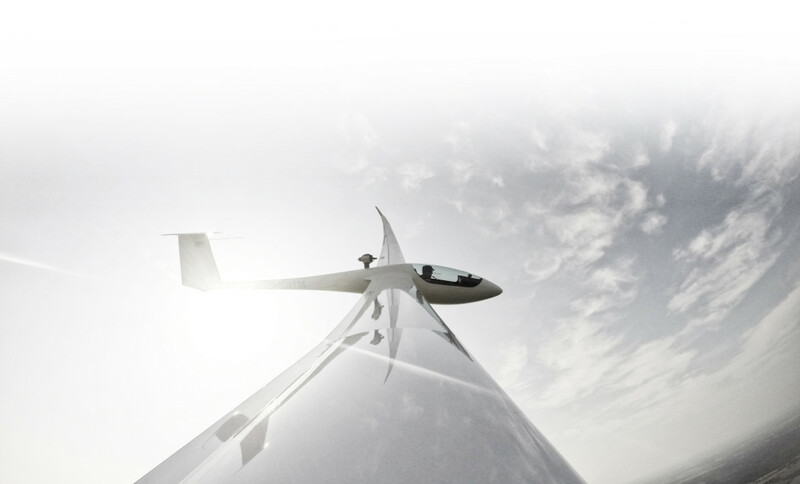 The next step is to meet with sailplane manufacturers to facilitate the retrofitting operations. We currently estimate that the cost of retrofitting an engine will be 25,000 €. The retrofitting process should be completed within 5 business days.